There was a time in my life that I wouldn’t eat biscuits and gravy. That white, chunky looking gravy just was not appealing for me. Finally someone got me to try it and I have been hooked ever since. I love them for so many reasons, of course they taste good, but they are also really easy to make. 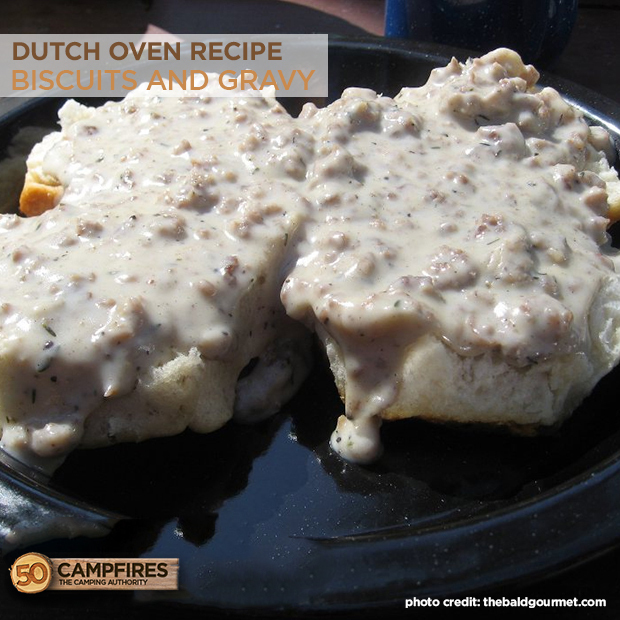 The same goes for these dutch oven biscuits and gravy. 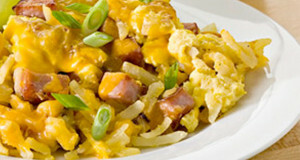 They make an awesome camping breakfast meal and will give you plenty of energy for your full day outdoors. 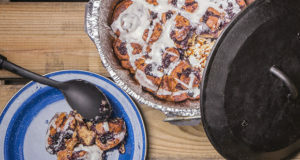 Most dutch oven recipes that I write about are all fully contained in the dutch oven, this one is slightly different in that only the biscuits are cooked in the dutch oven. But the gravy is not hard to make and takes very few ingredients. 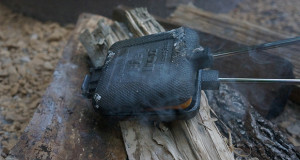 It can easily be cooked on a camp stove or in a cast iron pan over the grill grate of the campfire. If you really wanted to make things easy, you could prepare the sausage and gravy before you even left home. You would just need to heat it up in the dutch oven or a pan. 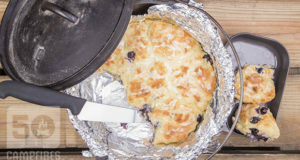 The hardest part about cooking biscuits in the dutch oven is temperature, you want an even heat. 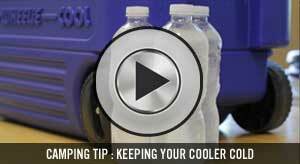 It is best to put less coals on the bottom and add more to the top. Usually around 8-10 on the bottom and 13-18 on the top will do. The bald gourmet has some great tips for cooking biscuits and gravy. I have adapted the sausage and gravy part to make it much easier to make while camping. I hope you enjoy this breakfast as much as my family does! Here’s our favorite Dutch Oven. And here’s the best way to clean it. 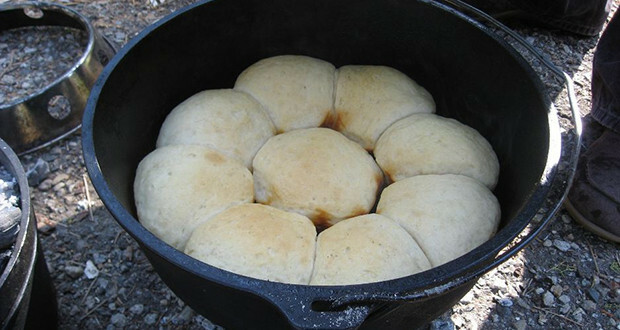 Rub oil on the bottom and sides of the dutch oven, this will prevent the biscuits from sticking. Arrange the biscuits in the Dutch oven so that they barely touch. They will expand, so leave some room between them. Cook the biscuits for 10 minutes and then check. Add time as needed. In a separate skillet cook sausage over medium heat 5-6 minutes. Stir in flour, mix it in with the sausage to get it coated. Gradually start adding the milk, making sure to keep stirring. Cook mixture until it comes to a boil and starts to thicken, stir constantly. Reduce heat and let it simmer for 2 minutes. Season with salt, pepper, onion powder and thyme. Jothan Yeager runs The Bald Gourmet. After years of experimenting in his kitchen, creating delicious food and eating at amazing places around the world, he wanted a place to share his experiences with everyone. He has some great recipes, you should check them out. Looking for more recipes? 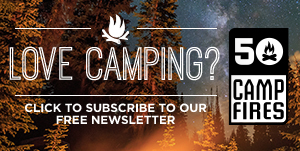 Subscribe to our free digital magazine below.